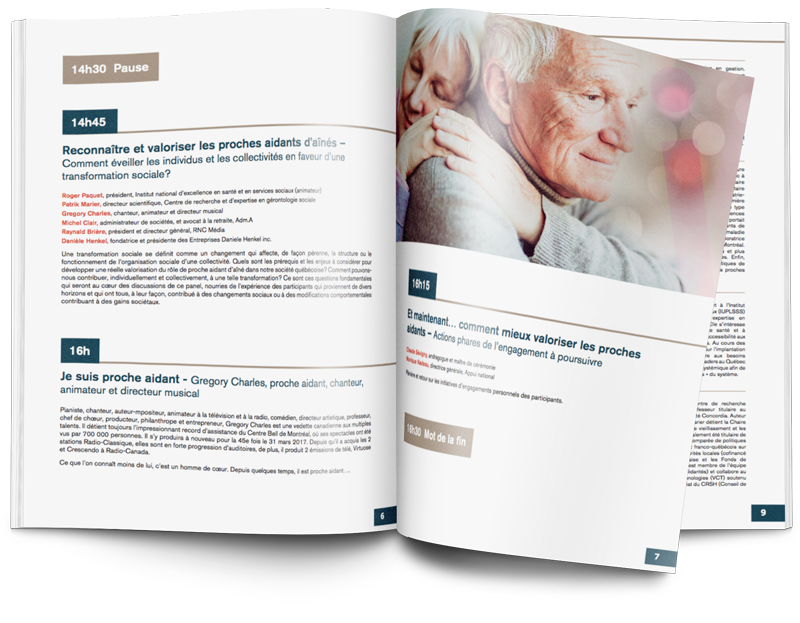 “L’Appui pour les proches aidants d’aînés” is the organization responsible for funding the resources available to support caregivers throughout Quebec, but also to inform them and direct them to such resources. Since 2014, Wink Stratégies has been the reference agency of l’Appui. In addition to having designed three communication campaigns (“Solidaires” in 2014-2015, “Nous, proches aidants” in 2016-2017 and “Support at your Fingertips” in 2018-2019), the agency accompanies the organization on the various long-term aspects of its communications, online and offline. 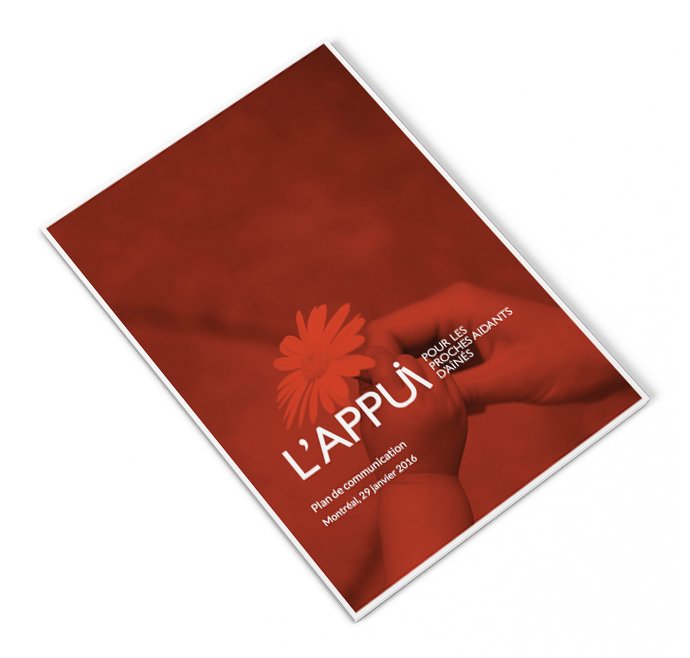 From simple advice to the realization of the communication plan 2016-2018 of the organization, l’Appui regularly calls on the agency for advice and strategic support on various topics. For example, Wink Stratégies has supported l’Appui throughout the search process for a new slogan. Strategic orientation, ideation, focus groups to test the different leads and advice, the goal was for the client to have all the elements in hand to make an informed strategic decision. With a large amount of content and addressing an older audience, it was necessary to pay great attention to the structure and design of the website to make it easy to find information. After an analysis phase (online questionnaires, telephone interviews, focus groups, analysis of the old website), we were able to develop the information architecture of the new website and write its specifications. We then developed the wire frames (functional mock-ups) as well as the web design (graphic models) of each page of the site, for computers and for mobiles. After putting the website online, we also developed a SEO strategy to optimize its natural referencing. L’Appui regularly needs graphic design for different online and offline tools. For example, at the end of 2016, we stepped in to create the materials needed to for the “Jour de L’Appui”, a series of conferences and workshops offered by the organization. With respect to the new graphic charter created in 2016, we have created the poster, invitations, program, triptych table centre and badges for the participants.